Linda Greenhouse recently wrote a nice piece in the New York Times about Justice David Souter. It is easy to focus on his eccentricities, which have tended to draw more attention than his court opinions. 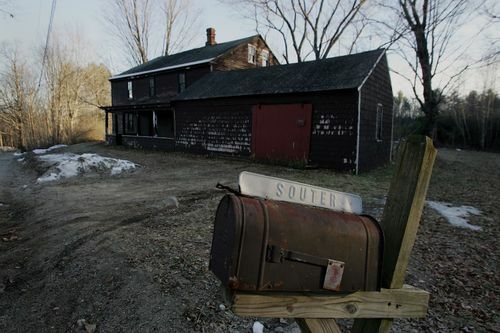 He lives the life of an ascetic in the same New Hampshire farmhouse that was home to his parents and grandparents. I was struck by Justice Souter’s comment at a meeting of the American Academy of Arts and Sciences on the importance of studying the humanities . He said that at the beginning of each new Supreme Court term he prepared to undergo “sort of an intellectual lobotomy.” Souter’s point was “that the demands of the term tore him away from the serious reading he sees as essential to the job.” Reading history helps him to understand facts and trends in different ways, which in turn shapes his jurisprudence. It is important for all of us to read beyond what is narrowly required to do our job. How else do we develop new perspectives on our work? How else do we learn from people and situations we have never encountered ? How else are we inspired to take on challenges that seem beyond our reach? I recently finished a book about FDR’s first 100 days, for example, which was a dose of reality about today’s economic challenges (no comparison) and a reminder on the importance of optimism in meeting them. I would argue for some un-serious reading (if that is a word). So does my psychiatrist. That is, reading that is not necessarily good for any practical application to my job or increases my already low chances of getting into mensa. While I loved the recent book about john adams, I found myself feeling like I ‘needed’ to read the Hamiliton biography – I was bored but forcing myself through it. That’s when I throw in the towel. Right now, when I have some time, I read the fiction that my 11 year old is reading. We have interesting talks about the books, and he is genuinely interested in bringing me what he considers the best of what he has encountered at school. So I recommend the Percy Jackson and the Olympians (where ancient mythology is actually alive and well today), I sort of like the Eragon dragon series, and loved/hated the book The Giver. These ‘sharpen the saw’ in a different way. Maureen’s comment brings to mind how you can be thinking and thinking and thinking about something, and then something knocks you off your focus, say a child calling out “mom” or a telephone ringing, and then, when you turn back around, the answer immediately comes to mind. Happens to me all the time when I’m trying to think of an answer to a crossword puzzle. So I’m wondering if a person like Justice Souter, who has to read and digest and think about very important and dense material, needs to relax his or her brain from time to time and, if so, if this relaxation comes more from playing chess or checkers; reading Crime and Punishment or watching Archie Bunker; staving off or giving into one’s guilty pleasures.